“Sustainable development is the development that meets the needs of the present without compromising the ability of future generations to meet their own needs”. The concept of sustainable development can be traced to 1987 and the United Nations World Commission on Environment and Development (WCED) – commonly known as the Brundtland Commission, named for its Chair, Gro Harlem Brundtland, and its report, Our Common Future. The commission was charged with developing recommendations for paths towards economic and social development that would not achieve short-term economic growth at the expense of long-term environmental and economic stability. The central idea of the Brundtland Commission's definition of "sustainable development" is that of intergenerational equity and the Commission presented the environment as something beyond physicality, to include social and political atmospheres and circumstances. It also insists that development is not just about how poor countries can ameliorate their situation, but what the entire world, including developed countries, can do to ameliorate our common situation. The Brundtland Commission Report recognized that human resource development in the form of poverty reduction, gender equity, and wealth redistribution was crucial to formulating strategies for environmental conservation, and it also recognized that environmental-limits to economic growth in industrialized and industrializing societies existed. As such, the Report offered “[the] analysis, the broad remedies, and the recommendations for a sustainable course of development” within such societies (1987: 16). (http://en.wikipedia.org/wiki/Brundtland_Commission). The Brundtland Commissioners came from 21 very different nations. They ended the report by stating: "In our discussions, we disagreed often on details and priorities. But despite our widely differing backgrounds and varying national and international responsibilities, we were able to agree to the lines along which institutional change must be drawn. We are unanimous in our conviction that the security, well-being, and very survival of the planet depends on such changes, now." 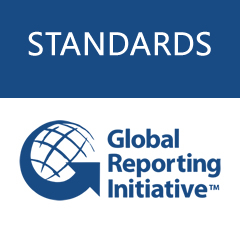 The work of many involved in sustainable development, including the Global Reporting Initiative (GRI) is based on the definitions and frameworks set out by the Brundtland Commission. The GRI has developed protocols for the development of sustainability plans generally and for specific sectors; and overall, recommends that organizations determine a sustainability strategy to guide their actions internally and with stakeholders.